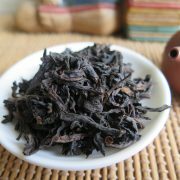 For the Oolong enthusiast, this old 1995 oolong will give you an insight into the aroma and taste of old oolong . This Shui Hsien was originally packed in a wooden crate in Fujian China and was shipped to a tea distributor in Malaysia. Such oolong was a favourite tea among the Chinese community in South East Asia as many Chinese there were migrants from Fujian China. Drinking this oolong would bring back fond memories of their days in China. 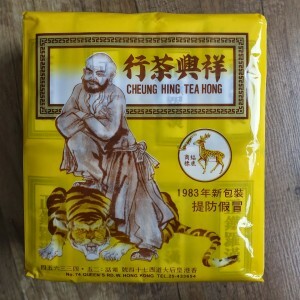 This tea had been stored in Malaysia for more than 20 years. 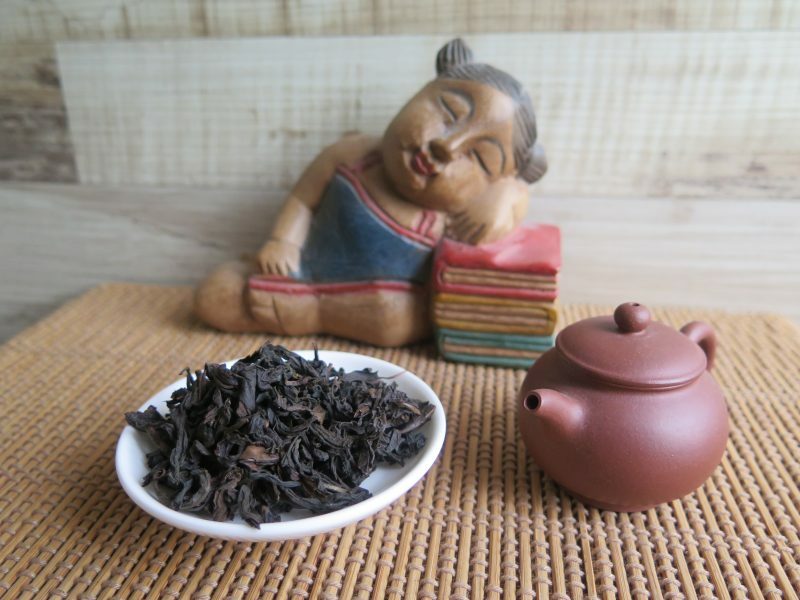 Unlike pu erh tea which ferments and age over time, oolong tea retains its aroma and taste character even after many years of storage. 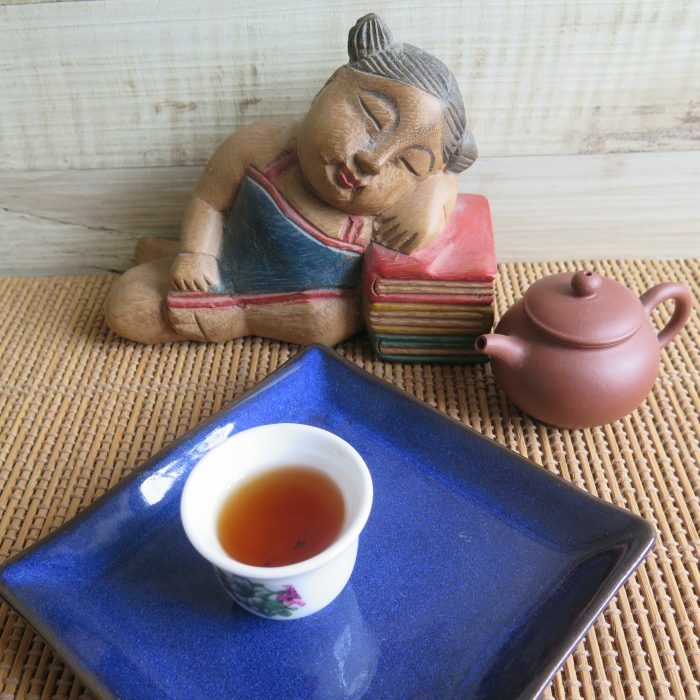 Old oolong tea becomes more mellow and aromatic in taste. There is no harshness in this tea. I could tell that this was a high roast tea but this oolong now is very mellow and has a perfumed-like aroma in the tea. 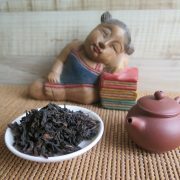 The aftertaste is long with a mild gentle sweet feel that last for a good few minutes after the tea session. Pix of tea in teacup is the 3rd infusion. Quiet sophistication. You will get 40g of tea per unit order.